Aria Systems is a cloud-based billing software that caters to businesses in the enterprise commerce industry. It allows users to create invoices, process one-time and recurring payments, generate reports, and more. As of the date this article was written (07/18/18), there are no user reviews of Aria Systems online. If you are a past or current Aria Systems customer, leave a review to help other small business owners that are deciding whether or not to use the software. Aria Systems doesn’t publish rates on its website. Their prices are transaction-dependent and are billed per quotation. Prices for similar programs can range between $20/month for basic software to $500/month for more advanced applications. You need to contact sales support and schedule a demo to get specific pricing details based on your business requirements. Check out the list below of some of Aria Systems’ features. Best Invoice Software for Small Businesses – We looked at the most popular options and rising stars and decided to review Invoicera, Viewpost, and FreshBooks. Read this guide for our comparison and review of these three options, as well as our top recommendations. Small Business Invoicing: How to Write One and Deal with Unpaid Invoices – In this guide, we’ll teach you how to write an invoice and uncover all the best practices for invoicing, including how to use an invoicing software to handle most of your work automatically. What Are the Best Invoice Payment Terms for Your Small Business – Choosing the wrong invoice terms can disrupt your cash flow and alienate customers. In this article, we’ll help you how to do invoicing properly. There was no mention of free trial on the company website. But interested users can contact support to know more about the product. What pricing strategies does Aria Systems support? 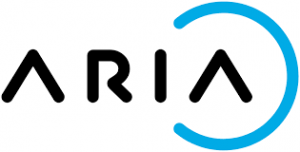 Aria Systems support subscription, metered usage, subscription-plus-usage, overages, one-time sales, recurring charges, discounts, coupons, promotional offers, freemium models, and more. This video provides an overview on how Aria Systems can help your recurring revenue grow. Not sure if Aria Systems is the right fit for you? Read our reviews of all top invoicing software or check out one of these three Aria Systems alternatives.